We are here to meet the growing interest and need for sustainability in theFlorida Keys. When we first embarked on this project in 2003, we spent a lot of time discussing our mission and how to define it. The word sustainability seemed to fit, but we weren't sure people understood the term. So we asked, what is sustainability? The United Nations World Commission on Environment and Development was the first organization to address sustainability. In 1987 it defined Sustainable Development as "Meeting the needs of the present generation without compromising the abilities of future generations to meet their needs." Then, we asked why it matters in the Florida Keys? Globally, environmental degradation and resource consumption are serious concerns for current and future residents, businesses and institutions. In the Florida Keys, the challenge is even more serious because without the healthy land and water that support our economy and leisure activities, few of us would be able toâ€”or want toâ€”live here. Just as important as knowing what we needed to do was to understand how to reach the goal. We determined that to be effective, sustainability had to be a balance of environmental, economic and social needs and it had to encompass all levels of decision makingâ€”government, business, social and individual. With that understanding, we began to build partnerships to learn more about the needs of our Florida Keys community. It started with a group of interested residents, the Monroe County Extension, Florida Keys Electric Cooperative, Florida Keys Aqueduct Authority, South Florida Water Management District and The Nature Conservancy. Soon, it grew to include the Key Largo Chamber of Commerce, First State Bank, Kenoter Repoter, Keys Sunday and other local businesses that came together to put on the very successful 2005 Green Living & Energy Expo. If one word could be used to describe the response, it would be "More." Residents and businesses alike wanted more information. Telephone calls to the utilities and Extension office and email questions sent to our Web site asked for information on how to reduce energy and water consumption, where to find out more about alternative energy, how to build green and how to save money and the Keys. Those responses helped us set our course. We turned our efforts to offering ongoing green education to our Florida Keys communityâ€”residents, businesses and policymakers. With that, we made a minor name change to better reflect our goals. Now we're Green Living & Energy Education, a 501 (c)(3) non-profit organization. We formed committees dedicated to different areas of sustainable living. Committees will research sustainability topics, create and disseminate information sheets, host community discussions, and develop ways to engage policymakers and the business and building communities. Next, we focused on developing collaborative educational efforts to reach our community. Revamping this Web site was high on the list of priorities. We added pages and pages of information on sustainability, energy usage, energy tax credits and incentives, water conservation, green boating, healthy interiors and more. We added simple ideas that will make a big difference. We found and created how-to articles and set up links to resources. We made it easier to navigate, too. Please explore the Web site and give us feedback on how we can make it work better for you. Planning for the 2008 Green Living & Energy Education Expo started. The next Expo will be held May 9-11, 2008, in Marathon, at Marathon High School. Just as we did at the 2007 Expo, we'll have experts speaking on different aspects of sustainability, vendors showcasing the latest energy production and water conservation technologies, entertainment, organic foods and activities for children. (click here to find out more) We're partnering with our local schools to educate our youth on sustainable practices, everything from recycling and alternative energy to conservation and rain barrel usage. Experts will lecture on energy, water, boating, landscaping, green mortgages and other relevant subjects throughout the Keys. Some lectures will target residents, others will target the building community, and still others will target businesses and organizations. Look for us at community events. We'll be there answering questions, passing out our new brochures and showing off our illustrative displays. You'll also find our brochures at the Extension offices in Key Largo, Marathon and Key West. Best of all, by late fall, you'll be able to download them from our Web site. 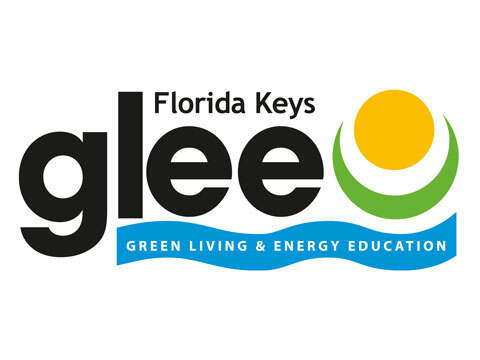 The GLEE vision is that together we can find solutions that will protect and improve our natural environment, build a strong and vibrant community, provide economic opportunities for everyone and ensure the future of the Florida Keys. We look forward to working together with you on creating a sustainable Florida Keys.